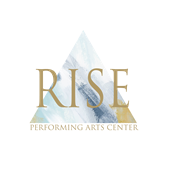 Welcome to RISE Performing Arts Center! Please complete the following registration form. First month tuition and registration fee are due on or before the first day of students first class. In consideration of my child's participation in the classes given by RISE Performing Arts Center, I do herby for my child release and discharge Brecia Provost and all personnel thereof for all claims or damages, demands, actions, injuries, or whatsoever in any manner arising or growing out of my child's participation in any of the classes offered by RISE Performing Arts Center. I attest and verify that I have full knowledge of the risks involved in exercise and my child is physically fit and able to participate without endangering my child's health. There will be a $35 recital fee per student due April 1st. Recital date is May 18th 2019. Payment is due in full on first day of class. Payments can be made on or before first day of classes. Cash and check are accepted. There is a $25 return check fee. Credit cards are also accepted. There is a 3% charge for credit card use. In order to excel and feel confident in their class rooms, attendance is very important. Please make every effort to be in class each week. If a student misses 2 weeks in a row without notifying the studio, we will send out an email to the family to figure out what is causing the absence. From February to May, if a student misses more than 3 weeks of their class, they will be required to schedule a private lesson. This is to ensure that your student feels confident and ready to perform at recital, as well as reassuring their class mates. Please notify the studio if your student wishes to drop their class. RISE PAC will observe ROISD holidays, breaks, and school closings for weather. The exceptions to this are teacher work days and various Monday holidays such as Columbus Day. We will still have classes on these days. Please check Facebook, Instagram, or your email on bad weather days to see if classes have been cancelled. If ROISD cancels after school activities because of weather conditions, we will not have class either. Students are required to wear pink tights with any color leotard. Skirts are optional. Pink ballet shoes and black tap shoes will be required for recital. Boys are to wear black pants and a plain t-shirt. They will need black ballet shoes as well as black tap shoes. All students will be required to have hair pulled up and out of their face. All students in ballet are required to wear pink tights and any color leotard. Skirts or dance shorts are optional. Sports bras are acceptable under leotard, however there should be no other undergarments worn. Pink split sole ballet shoes are to be worn. Students will be required to wear form fitting clothing including that permits full range of movement. Options for attire are tan tight, dance shorts, and a leotard. No baggy shirts or pants. Tan jazz shoes are required for jazz and contemporary. Black tap shoes are required for tap. There will be an annual recital help in May. This date is TBD, however you will be notified as soon as the date is set. Please do not drop off your child more than 10 minutes before their classes begin. Additionally, please make sure they are picked up within 10 minutes of their class ending. If your child has a break between classes, they can hang out in the waiting area. I hereby grant permission to RISE Performing Arts Center to use the image(s) of my child(ren). Such use includes the display, distribution, publication, transmission, or otherwise use of photographs, images, and/or video taken of my child for use in promotional, marketing or educational materials. I agree that these images may be used by RISE Performing Arts Center without further notification. I do understand that my child(ren)'s last name will not be used in conjunction with video or digital images.